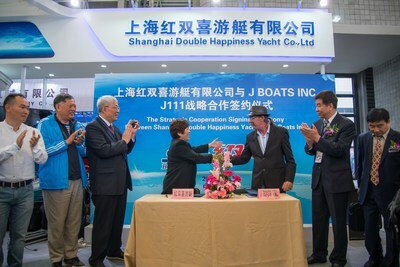 SHANGHAI, Feb. 8, 2018 /PRNewswire/ — The 23rd China (Shanghai) International Boat Show 2018 (CIBS 2018) is ramping up from last year’s successful execution, growing numbers and delighted exhibitors. As a key component of the government’s National Fitness Program (2016-2020), Asia’s biggest boat show – CIBS is also the most iconic and longest-running boat and yacht exhibition in China – is already gearing up for its 23rd iteration with more exhibitors, conferences, newer initiatives, and an expected turnout of over 40,000 visitors keen to explore all aspects of the boating industry, such as yachting culture, maritime lifestyles, water sports, water tourism, accessories, equipment and entertainment. This year, CIBS will present three key sectors, covering 550+ exhibitors on finished boats, equipment and services, and leisure and travel. Among these sectors, thematic areas like water sports, lure fishing and well-fitness will bring visitors the best immersive experiences. As CIBS2018 is the flagship exhibition of the entire leisure boating industry in Asia, established equipment players like Hidea China, Tritex Fujian Fuding Jiapan General Parts, and Steyr Motors have already booked their slots. 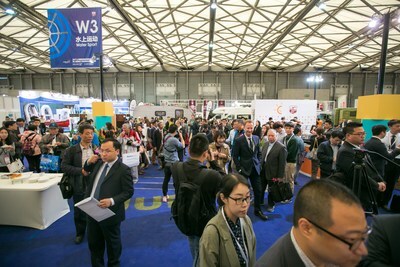 Industry players such as Jet Set Investment, Brunswick Trading, Jiangsu Meihong, Hainan Xinghan Yacht Developed and Qingdao Matrix Parker Yacht have also registered with larger booths ahead of schedule. Famous exhibitors from China such as Shanghai Double Happiness, Speedo, Yamaha Motor, Brunswick, Oriental Recreational, Suzhou Palm Bay, and international exhibitors including Beneteau Group, Quick Spa, Storm Force, Alamarin-Jet Oy, and Ultraflex are also excited for visitors to check out their latest models. As such, CIBS2018 is proud to continue its Matchmaking Program, organized by The 23rd China (Shanghai) International Boat Show and China Boat Industry & Trade Association – a featured global networking platform for suppliers and buyers in the boat industry. The matchmaking program is dedicated to connecting pre-screened suppliers with premier buyers who are sourcing for any items from components to end products in the boating industry. By establishing business connections between suppliers and buyers, the organizers can best serve the needs of all parties with customized meetings, networking platforms and business opportunities, thus helping to save precious time and to increase ROI for all relevant parties. Please contact Ms. Shuree Shen if you would like to participate in the program and look for your perfectly matching exhibitor/buyer. The 23rd China (Shanghai) International Boat Show runs (officially) from 26th to 29th April 2018.